We are pleased to recommend the following lodging providers because of the quality of their facilities and services, and for the courtesy they extend to our guests. You can book your lodging directly or, we will gladly book your lodging and add the charge to your rafting invoice. For a complete list of places to stay in and around Vernal visit: www.dinoland.com. A Beautiful Bed and Breakfast nestled in downtown Vernal. Large Suites, Comfortable living quarters and a wonderful breakfast. Spacious studio suites, innovatively laid out, stylishly furnished and smartly designed. Complimentary continental Suite Seasons Breakfast buffet. Indoor Pool and Spa. Quality Best Western motel in downtown Vernal. Offers shuttle service to and from the Vernal airport. 100 tent and RV sites, picnic tables, dump station, showers, pool, store and laundry facilities. 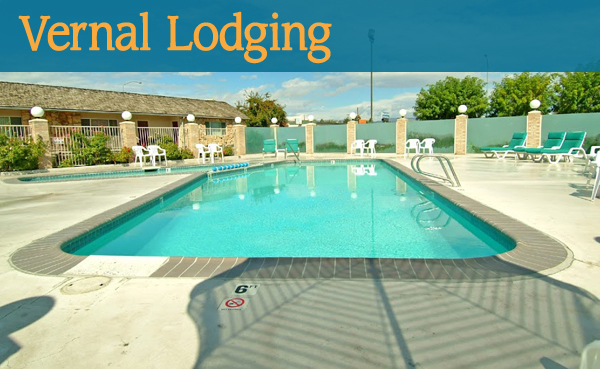 50 + tent and RV sites, sand volleyball court and other amenities await.